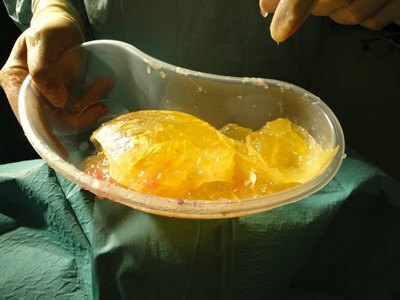 Browse: Home / Breast Implants, how dangerous are they? This BUSINESS INSIDER report from Reuters “Breast implants tied to increased risk of rare blood cancer” was published on the 28th January 2018, It’s what is called “CHURNALISM, or a dubious press release circulated worldwide, masquerading as news. In this case, it plays down the very serious risks of breast implants raised in a recently published study. In 2016, a panel of French experts reviewed the safety data for textured breast implants available with a CE Mark in Europe. GUESS WHAT? THERE IS NO SAFETY DATA ON FILE FOR TEXTURED IMPLANTS! Where’s the evidence for our claim? Please refer enquires to the French National Regulating Authorities ANSM. And Fig1 shown below. The “most studied” suggests evidence of safety, where in fact there is none. But What About the BIG manufacturer studies? It is unacceptable that again a substantial number of the 40,000 patients that Mentor and Allergan were required to track were “lost” in just a very short time frame. Mentor had lost track of 79 percent of all patients within three years of their enrollment and Allergan lost track of almost half of their augmentation patients within their first two years, along with 25-31 percent of their reconstruction patients in that same length of time. Such a high loss to follow-up completely undermines the value of any findings. 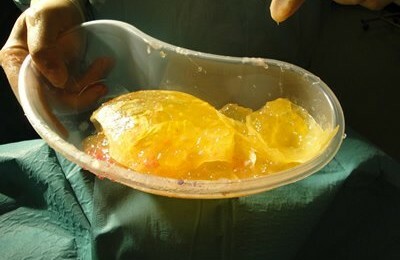 Breast Implant Cancer can KILL. 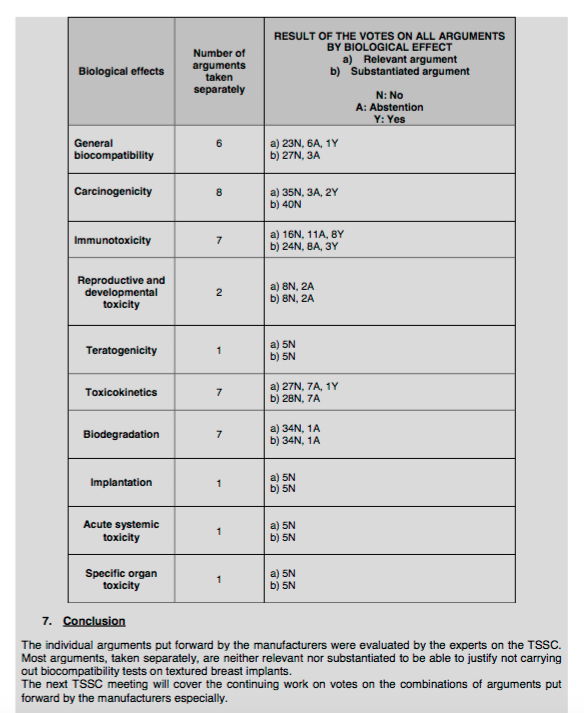 It is linked to textured breast implants, most frequently Allergan biocell implants. Some claims suggest its down to the contamination taking place on the implant surface, implying contamination by implanting surgeons. See what i did there? Manufacturers imply blame for breast implant cancer points toward the implanting Surgeons. Still Allergan found and bought a solution. Its called a Keller Funnel : its a device that looks like a piping bag, it means the implant doesnt need to be touched during surgery and thereby reduces contamination of the implant. Also, surgeons now have access to Betadine (formerly BANNED due to known carcinogenicity, but now BACK in USE to reduce surgeon liability for implant contamination. YEP BETADINE IS CARCINOGENIC and was BANNED for use with implants until 2017. Here is the decision approval statement from the FDA, dated August 2017, for Allergan Saline implants. Approval for changes to the labeling including 1) the removal of the Betadine warning against breast implant exposure to Betadine brand povidone-iodine 10% (applicable to generic versions as well) from the patient and physician labeling, and 2) modifications to the language in the physician and patient labeling regarding the potential risk of breast implant associated anaplastic large cell lymphoma (BIA-ALCL). Does use extend to silicone breast implants? The approval order only mentions saline implants. But why havent the contents of implants come under scrutiny? What about the plastics and silicones in the implant? Why do they rupture? What happens to the silicones leaking out of the implant? What happens after silicone has been leaking into your body for years? Thousands upon thousands of women say their implants made them sick, do they have breast implant cancer? Who is running tests? Where are the registries? 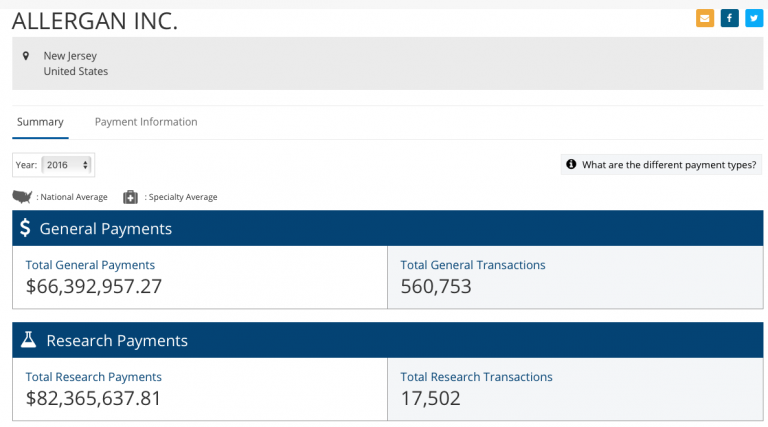 Where is the information on the contents of breast implants? Where is the data for risk coming from? Are the doctors offering insights into breast implant cancer in CHURNALISM articles paid by the manufacturers? Most patients have never received a penny from Allergan or from Mentor. Dr McCarthy was paid over 800 times more than us, by Mentor in 2016. The evidence for dr kick-backs? The US have the Sunshine Act which makes manufacturers publish details of the monies paid to surgeons & doctors for promoting their products to patients. Take a look at the numbers of US surgeons who were paid by Allergan in 2016. Breast implants are tied to a MASSIVELY increased risk of blood cancer because women without breast implants DONT get it! Having to deal with FAKEnews & FAKEscience surrounding breast implants is utterly exhausting, still its the reason so many of us are still here. ITS JUST NOT ON! Time has come to put a stop to profiting from lies & exploitation of women.